Kidnapping, rocket fire 'lay bare the dangers of legitimizing Hamas' role and present a stark choice for the PA,' ADL says. The Anti-Defamation League (ADL) released a statement of solidarity with Israel as it searches for three kidnapped yeshiva students Monday, as well as condemning a string of rocket attacks which has resurged from Gaza. "Our thoughts and prayers are with the families of the three young men kidnapped with the involvement of Hamas, as the efforts by Israeli authorities continue to attempt to ensure their safe return," Barry Curtiss-Lusher, ADL National Chair, and Abraham H. Foxman, ADL National Director, stated Monday. "We echo [US] Secretary [of State John] Kerry’s statement that the Palestinian Authority must fully cooperate with Israeli authorities to assist in locating the Israeli teens." The ADL also slammed the current unity pact between Hamas and Fatah, noting that worldwide legitimization of Hamas's role in the new government has a direct connection to the kidnapping. "[The teens'] horrifying abduction and the resumption of rocket fire from Gaza into Southern Israel lay bare the dangers of legitimizing Hamas' role in governing the Palestinians and present a stark choice for the Palestinian Authority leadership," the ADL stated. 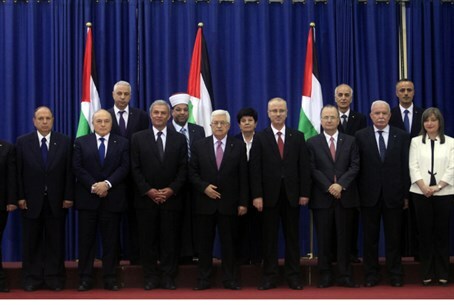 "Will they choose to continue on the path of aligning with forces promoting terror, violence and conflict? Or will they reject this hatred and return to the steps necessary for reconciliation and peace?" The ADL statement joins a wave of scrutiny over both the unity pact itself and international support for the new PA government, which saw both the US and EU blindly insist that Hamas would have minimum impact on a government specifically designed to unite them with PA Chairman Mahmoud Abbas's Fatah party. Intelligence Minister Yuval Steinitz was among the critics Sunday, noting that the pact has lowered security in Judea and Samaria. "It is not only that, for all intents and purposes, the PA is logically responsible for the attack in an area [under their control], but also that Hamas is represented in their government and its media encourages kidnapping," Steinitz stated to IDF Radio. "Since the formation of the 'unity government,' the Palestinians have greatly reduced their pressure on the Hamas infrastructure, as well as Hamas activity in Judea and Samaria." Deputy Minister Ofir Akunis stated Monday that it is the world's "moral duty" to retract support for the pact. "It is the ultimate moral duty of the nations of the world to withdraw their recognition of the Palestinian terrorist government," Akunis stated. "We offer every foreign minister or ambassador from around the world to come here and see why they erred when they rushed to greet a Palestinian terrorist government."